The CFP® designation is gaining kudos worldwide and in Australia as demand for provable expertise and integrity grows, according to Financial Planning Association CEO Mark Rantall. I have recently returned from the April 2013 meeting of the Financial Planning Standards Board (FPSB), which is the global licensing body for the certified financial planner (CFP®) designation. At each of these meetings it is increasingly evident that the designation is gaining traction in key markets around the world, that there are tremendous growth opportunities in developing countries like India and Brazil, and most strikingly, that the value of the CFP brand is increasing world-wide. I firmly believe that in the long run the demand for the CFP designation will grow as demand for provable expertise increases. Locally, feedback received from our members is that an increasing number of clients in Australia expect their planner to hold the CFP mark. There is recognition in the market that the designation is a real standard for excellence and expertise. Indeed, research shows that among consumers, the CFP designation is the most commonly cited credential when looking for a financial planner. We have found that consumers are prepared to pay up to 28 per cent more for the increased level of expertise as a result of a financial planner having achieved the CFP designation. These findings validate the positive consumer perception of CFP professionals. As one of the more mature markets, and indeed the first nation to offer the designation outside the USA back in the ‘90s, Australia continues to uphold some of the highest standards to enter the program and maintain the designation, especially following the introduction of the degree requirement in 2003. In fact Australia is one of only three out of the 24 member-countries of the FPSB which has a degree as a requirement to join the CFP program. And in Australia these high standards extend even further – five units recognised at Master Degree level and three years of practising experience are the minimum entry standards for the CFP designation. This is one of the many reasons why I left this meeting with a great sense of pride in the 5500-strong band of Australian CFP professionals, and an even greater sense of urgency to spread the word, locally and globally, about the real value of this designation. So why are these high standards of entry so important? The answer all boils down to professionalism. I am comfortable with the fact that the bar has been set high – a growth in CFPs regardless of standards is not the aim. My team and I want to take people with us on the journey to professionalism, people who are truly committed to high standards and best practice. The reach of these standards is endless – high standards mean that financial planning is wholly centred on the provision of advice, not product sales. High standards mean that consumers are empowered through how they pay for the advice they receive. In short, high standards mean that consumers will gain trust and respect in our profession. Consumer trust will mean that more consumers will seek the advice of a professional financial planner. 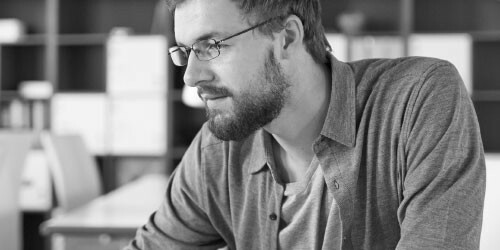 These high standards and rigorous requirements are demonstrated by research that says that 78 per cent of licensees state that corporate risk and complaints are reduced by having a greater number of CFP practitioners. In addition, analysis of the Australian Securities and Investments Commission (ASIC) data shows that while CFP professionals account for around 35 per cent of the planner population, they make up less than 2 per cent of ASIC enforcement activity. My vision is that one day planners will be increasingly empowered and therefore able to self-regulate, rather than being subject to the heavy hand of regulation that has overwhelmed them for so long. Just one of the proof points in achieving professionalism is that the vast majority of financial planners need to be a member of a professional body and have achieved the CFP certification. 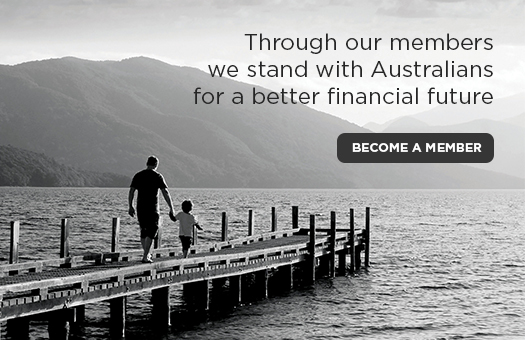 At the FPA we are working to ensure that the next generation can build a professional future taking care of the financial futures of Australians, backed by world-class educational standards and a professional framework that supports those who choose to do the right thing. Of course it is possible to be a financial planner or adviser without having achieved the CFP designation, but our message is clear – the CFP designation shows that you are at the peak of your profession. The truth is that nearly 16,000 individuals in Australia call themselves a financial planner, but only those who satisfy rigorous admissions standards that include ethics, education, examination and experience can use the CFP Certification Marks. 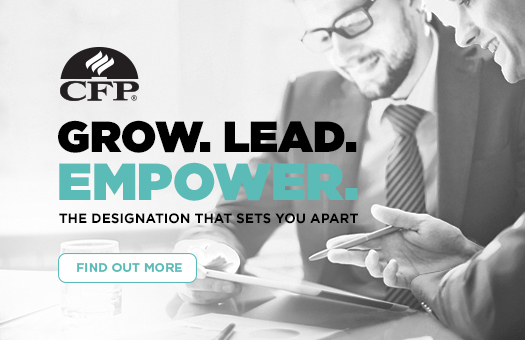 I encourage all financial planners to learn more about what the CFP program can offer you and your professional development. Mark Rantall is the chief executive officer of the Financial Planning Association. Read the article in Money Management here. More information on the CFP Certification Program here.